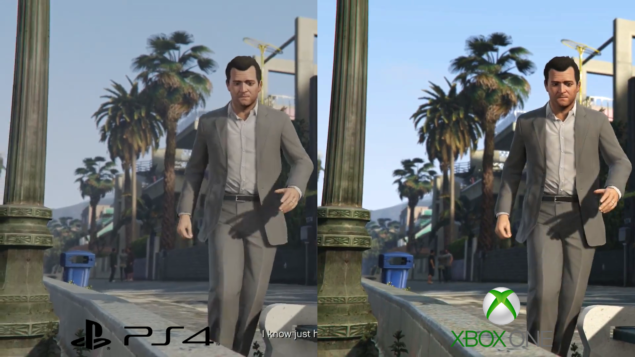 The next-gen remastered GTA V is now out and running across both the latest video game consoles, and keeping in view the reviews, user reports, and comparisons, it seems like Rockstar has worked with great energy to blow a new, young soul into its already best-selling and most praised title of the last-gen. 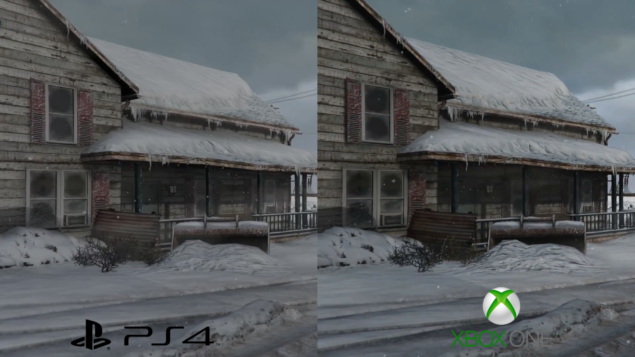 The game indeed boasts major improvements and looks almost identical on both the latest consoles, however, it does get more detailed at some places while running on the Xbox One consoles. 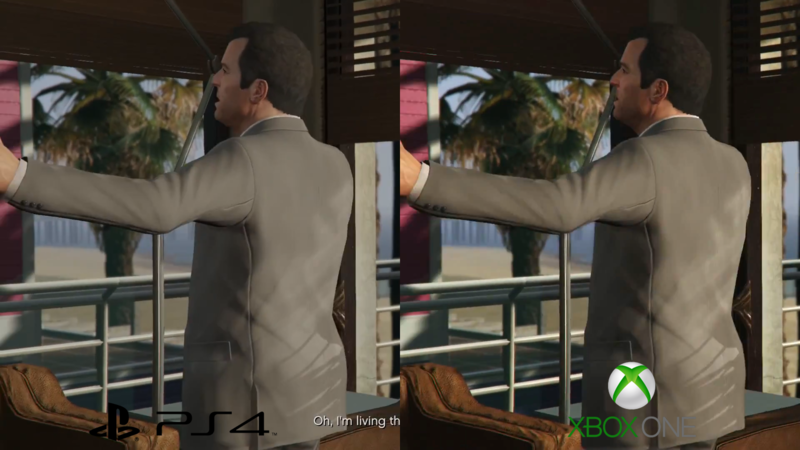 You can see how the next-gen GTA V performs head-to-head on the PlayStation 4 and Xbox One in the direct-feed 1080p video and screenshot comparison shared below. After some of the previously launched next-gen triple A video games turning out poorly, you might be looking for a game that you can play without waiting for patches to fix irritating bugs, and Rockstar’s action-packed next-gen GTA V is apparently that game. 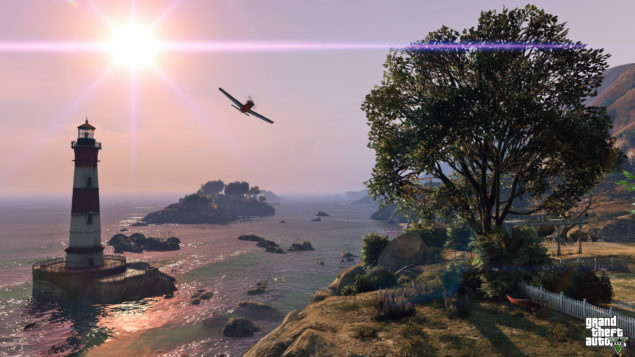 Seeing that it has bagged great review and metacritic scores, and reports suggesting against the game’s visual fidelity and smooth gameplay are nowhere to be found, it seems like Rockstar has taken its most pretty game and made it even prettier using the current offerings of the latest platforms and PC. 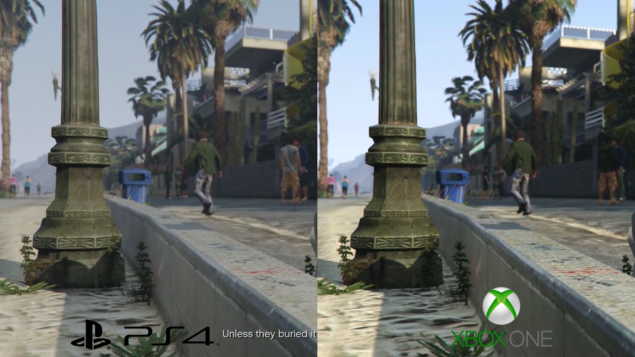 It has been said several times before and it becomes clear from the recently shared screenshot comparison between the next-gen 1080p GTA V and its last-gen 720p version that the latest version of the game is no ordinary remaster. Rockstar has completely revamped the entire in-game world and made it even more beautiful by adding some essential gameplay elements. 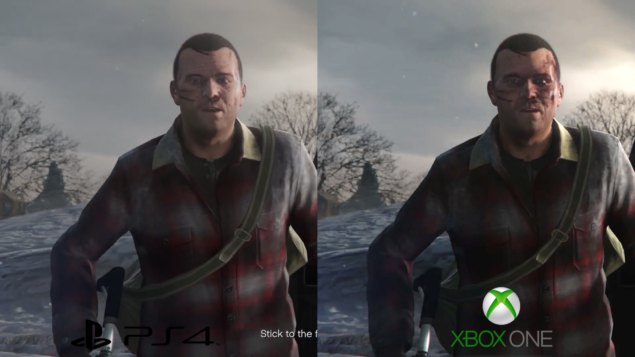 Almost everything from texture and visual detail of the game to shadows, lighting, level of detail and draw distance, character and facial effects, vegetation, and other in-game assets have been evidently improved. Next-gen GTA V really looks charms compared to its original last-gen version, but how does it hold up running side-by-side on the latest consoles? 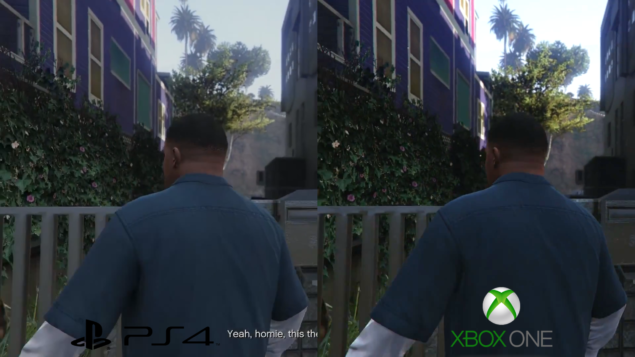 Thanks to GamingBolt, we have a 1080p direct-feed head-to-head video and screenshot comparison that shows how the remastered version of Rokstar’s best-selling video game looks like while running on the PlayStation 4 and Xbox One consoles. 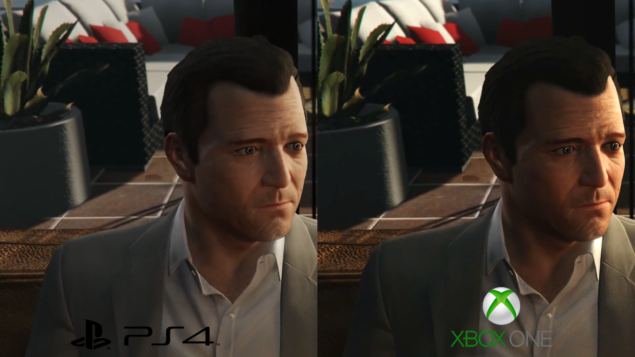 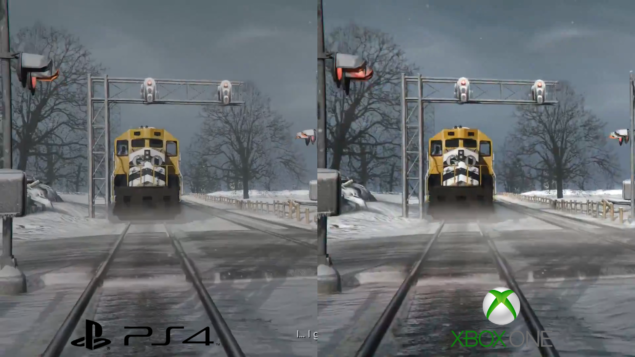 Initial analysis shows that while both the game performs very similarly on the consoles, though there are some scenes where Xbox One version takes the lead with better level of detail and lighting. 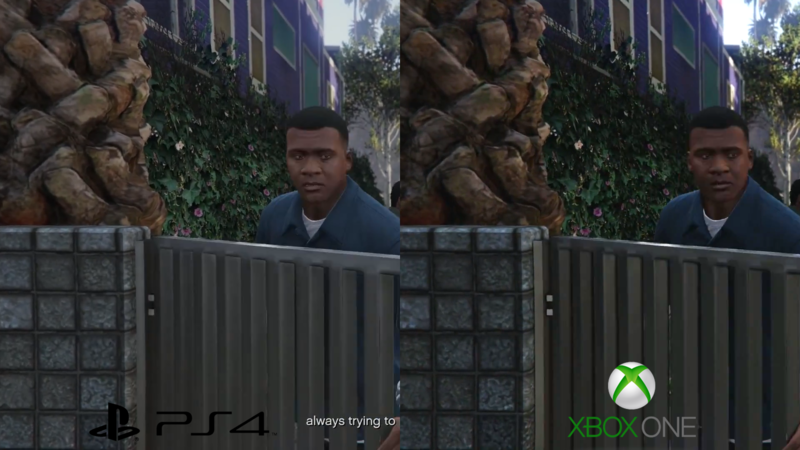 Next-gen GTA V runs smoothly at 30 frames per second and features a vastly improved anti-aliasing solution. 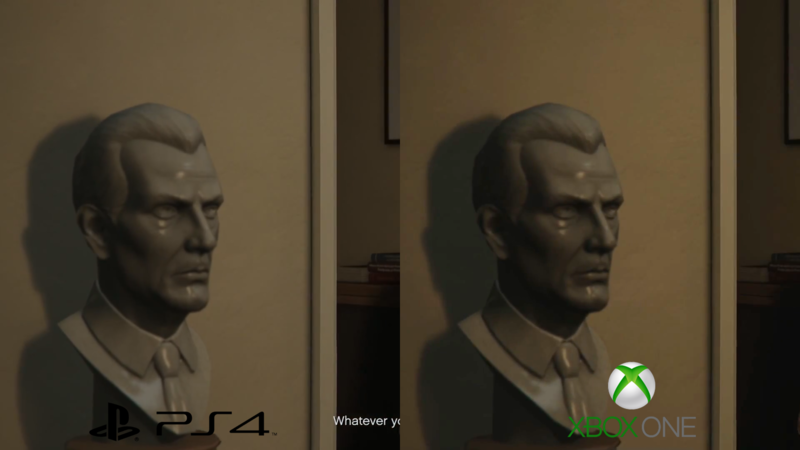 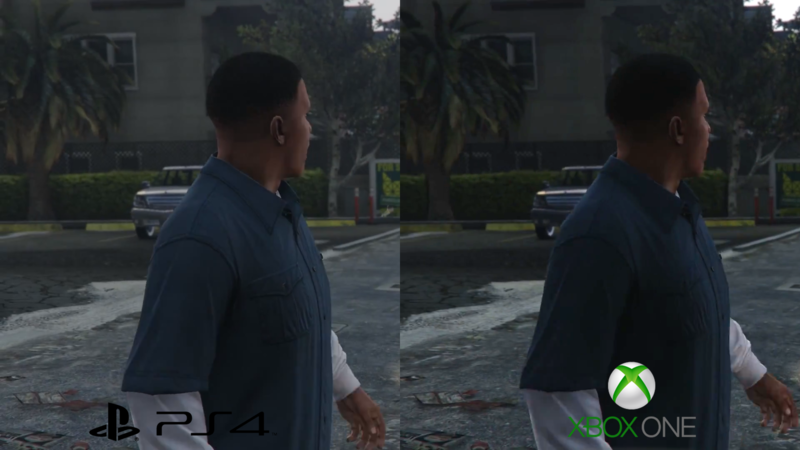 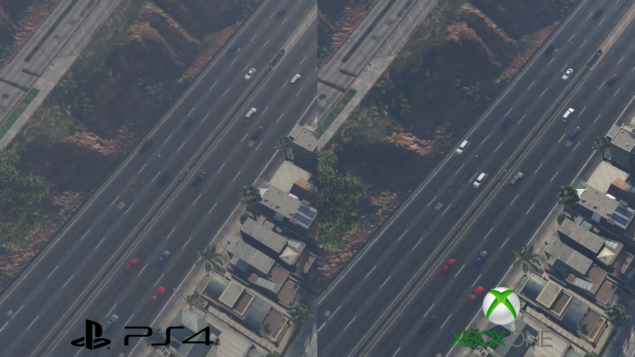 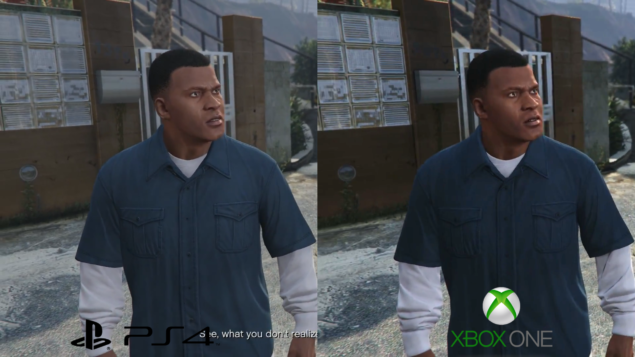 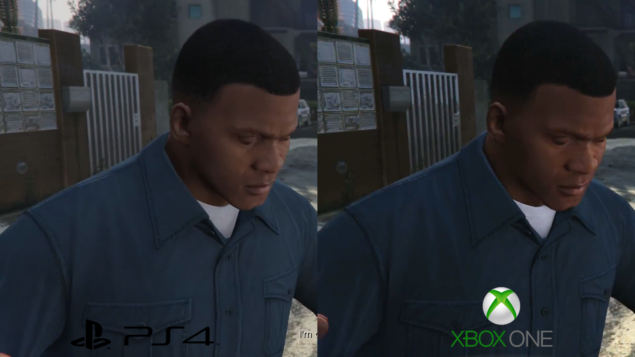 Without further ado, check out the 1080p video and screenshot comparison between the PlayStation 4 and Xbox One versions of GTA V right below. 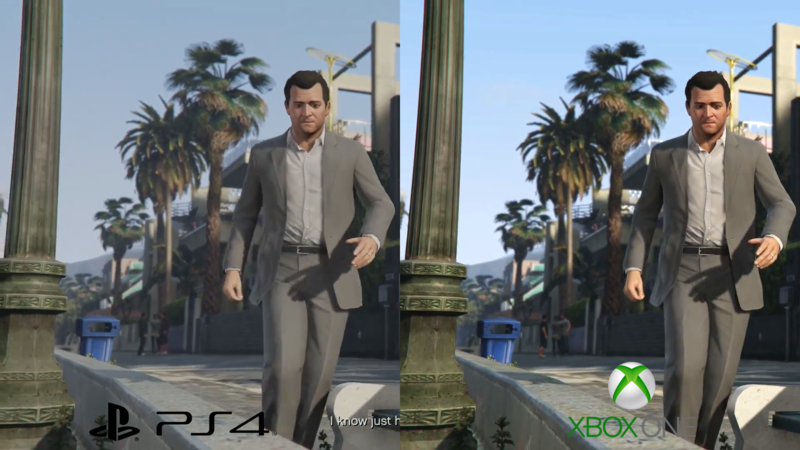 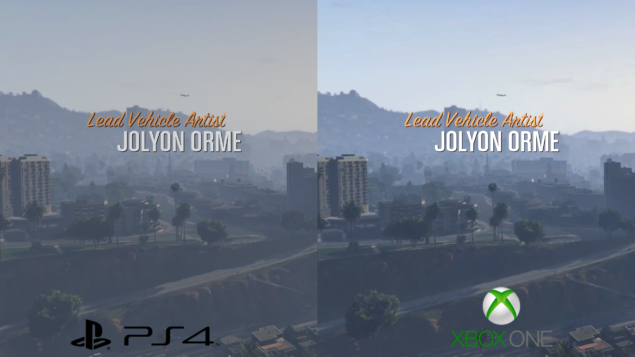 What do you thing about GTA V running side-by-side on the PlayStation 4 and Xbox One consoles? Share your thoughts in the comments section below.